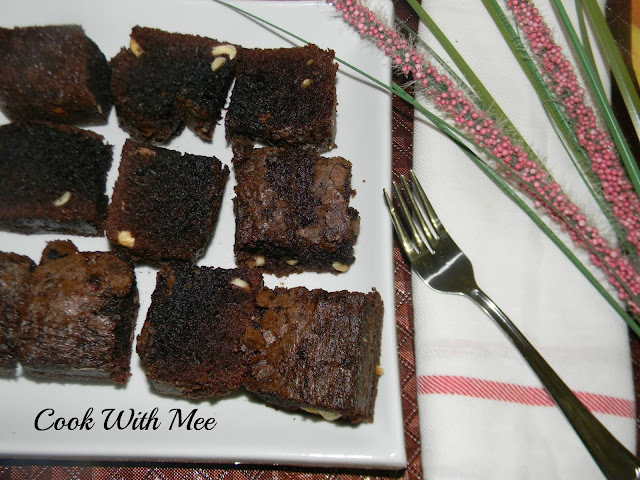 A very chocolaty and yummy delicious dish which I baked yesterday and enjoyed every bites of the CHOCOLATE BROWNIE. 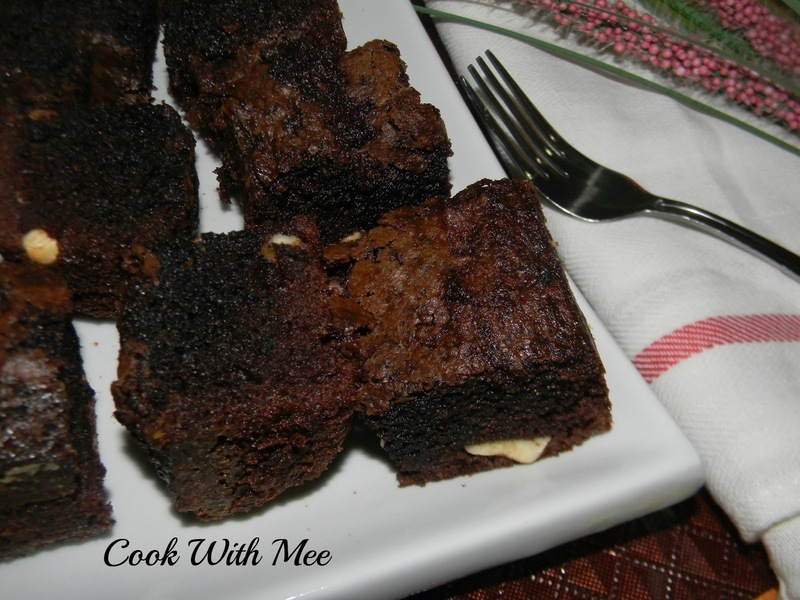 A very easy delicious dish made with lots of coco powder. Brownie is a very famous dessert which you can serve with Ice cream or Hot chocolate. So many days I was planning to make BROWNIE and also looking for an easy brownie recipe too. 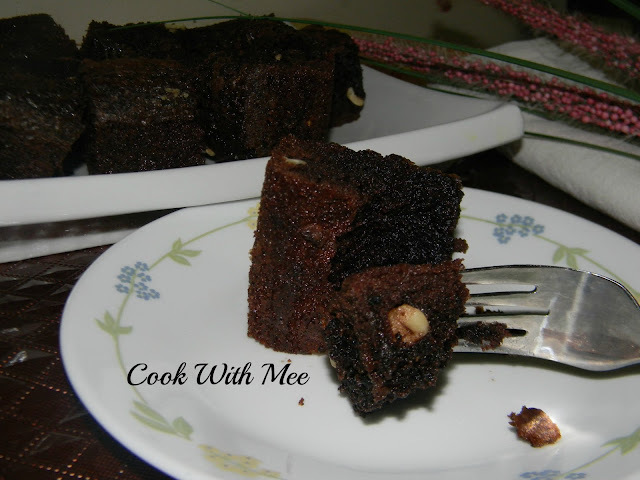 Few days back in a cookery show I saw this easy recipe and can’t stop myself to make this. The steps are really easy which is more important is that you have to careful about the measurement. And the proper temperature will make your BROWNIE perfect. Baking time: 35 to 40 mints. 3.Butter : 180 ml or ¾ cup. 4.Granulated sugar: 350 gm sugar. 6.One table spoon vanilla essence. 7.One tea spoon baking powder. Pre heat the oven in 175 degree C.
Put the butter in microwave for 20 seconds. Now in a large bowl add the melted butter and the sugar, mix well nicely. Now whisked the eggs with a fork and slowly add them into the bowl and mix well. 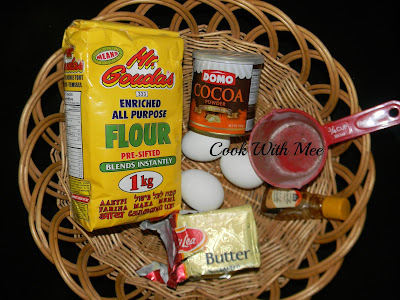 Now add the vanilla essence and the baking powder, mix well. Now add the all-purpose flour and the coco powder and mix well with everything. Finally add the chopped walnuts and just mix well. Take a loaf pan and grease this with little butter and sprinkle some flour into that. Now pour the batter into the pan and bake it for 35 to 40 mints or till the inserting of a tooth pick into the cake doesn't come out with unbaked batter. Let it cool, and then cut into small square pieces. Enjoy your brownies. Cookery shows are my great inspiration source...Who can resist these?? exactly deepsree i really love to follow those show's.